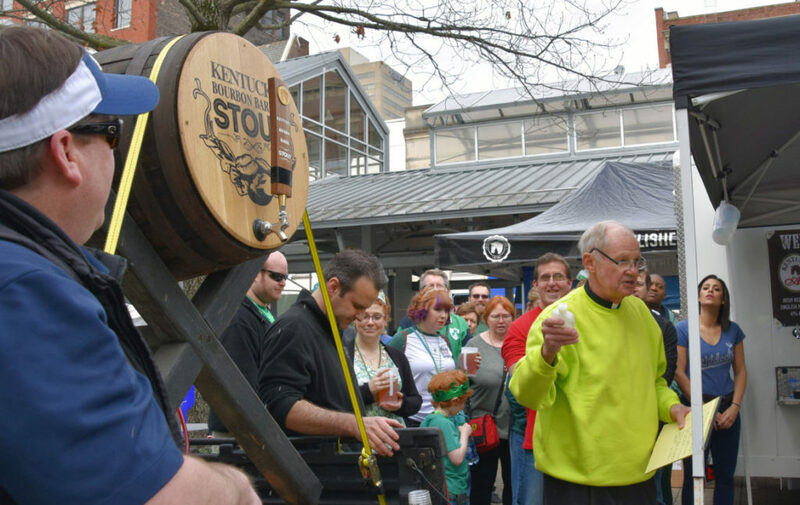 The Lexington St. Patrick’s Day Festival kicks off with the “Blessing of the Keg” at Cheapside Park. The parade and festival are part of an all-day celebration that begins at 8 a.m. with the annual Shamrock Shuffle to benefit Lexington Habitat for Humanity. At 10:45 a.m., the annual “Blessing of the Keg” at the Alltech tents in Cheapside Park kicks off the free Irish festival. The parade begins at 1 p.m.
To have a booth at the Lexington St. Patrick’s Irish Festival, download, complete and mail in your application. Applications for 2019 are available on our Forms page. Click here to complete your applications online.